5 kilometres through a grey but dry Bellahouston Park on a Saturday morning in October. 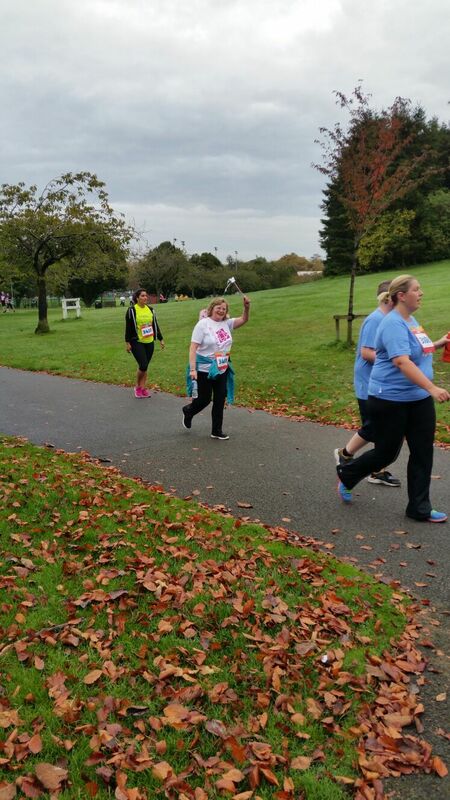 That is what 27 staff members from Rosemount Lifelong Learning, friends and family got up to for the Big Fun Run on the 10th October. 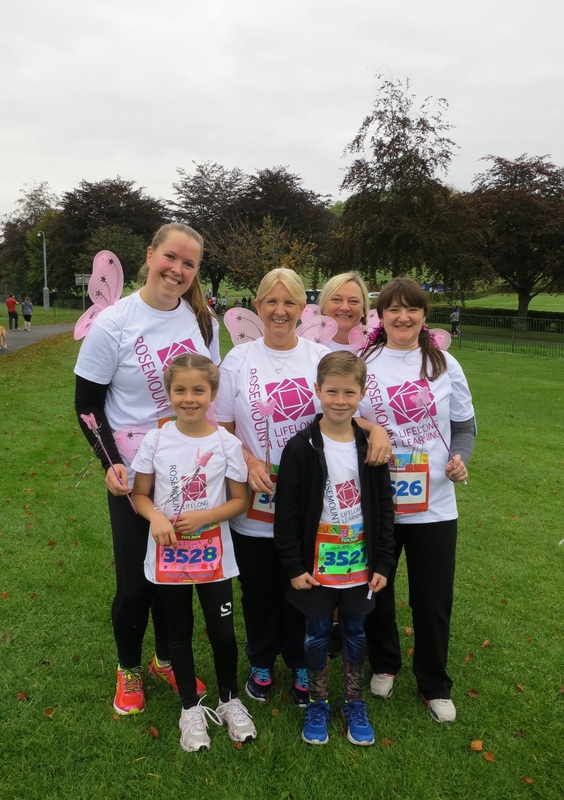 At 11am everyone was ready in Rosemount t-shirts, tutus, umbrella hats, fairy wings and sparkly glasses to do the 5k run to raise money for Rosemount Lifelong Learning. All ages were represented and several staff members brought their family and friends along. The amount raised will go to much-needed improvements to the nursery – including repairs to the sensory room and outdoor equipment for the children. At Rosemount Lifelong Learning we’ve worked for and with the community in and around Royston for almost three decades to ensure everyone in North Glasgow has a chance of reaching their full potential. Royston is one of the most deprived areas of Scotland. The area has been affected by massive economic dislocation and the collapse of traditional industries. In the local area there are 51 % more children in poverty compared to the city average and out of work benefit rates are 51 % higher (GCC Neighbourhood profiles). In 2014, 20% of people in the NE constituency had no qualifications, which is more than double the Scottish rate of 9.4% (NOMIS). The area’s ethnic minority rates are 155% higher than the city average. In order to meet the challenges of the area, Rosemount works with children and families, learners and parents providing a range of services and programmes including childcare, teaching (literacy & numeracy, English for Speakers of Other Languages and lots more), mental health, employability training, support programmes for young parents as well as families overcoming addictions. It is getting more and more difficult to secure funding for these absolutely essential services and programmes. With your help we raised £1739 for the nursery! We couldn’t have done it without your help. Thank you to everyone who joined on the day, shared our cause and donated to us! 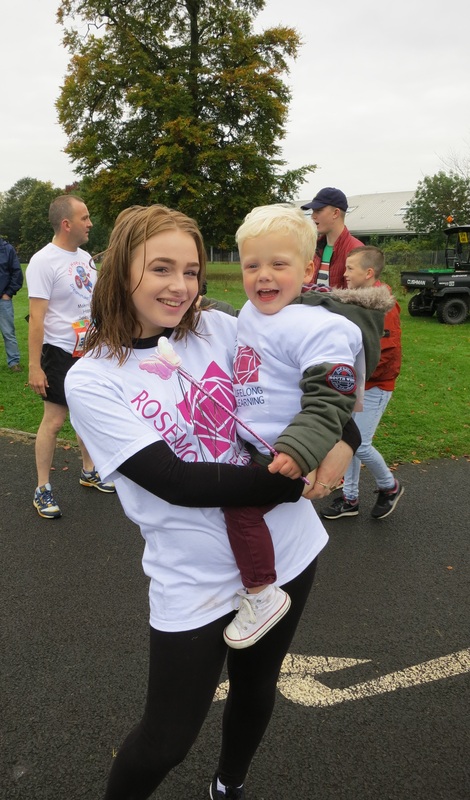 If you want to help Rosemount’s continued work, please donate by clicking the button below or text ROSE08 £3 to 70070 to donate £3.